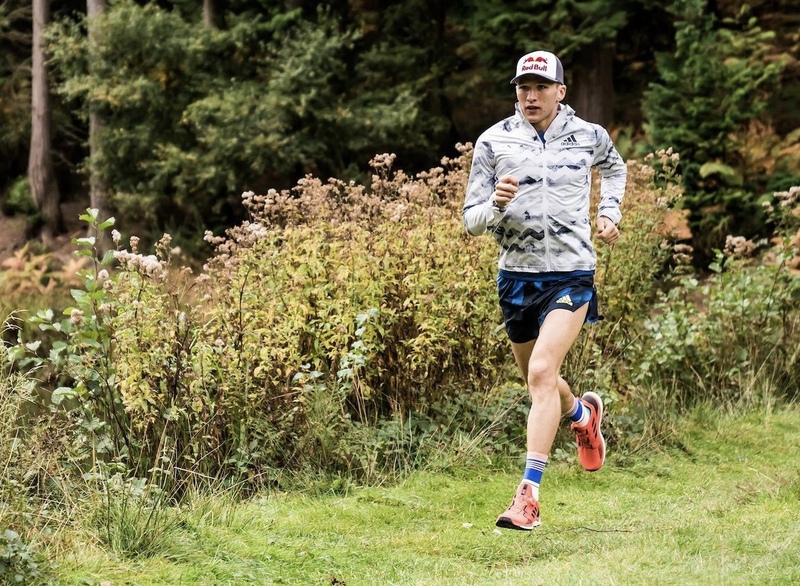 Earlier this week we had the pleasure of catching-up with Red Bull athlete and Ultrarunner Tom Evans after one of his afternoon strength and conditioning sessions. So to get us started, what are your goals for 2019? I want to really put my mark on ultra trail running. I’m going to be doing my first 100 mile race in the US, Western States at the end of June which is my main ‘A race’ for the year. Before that, I’ll be racing on the road with a half marathon in two weeks time for England. I hope to go quick there, so I’d like to run in around 64 minutes and then go to the US to do a 50 mile race called Lake Sonoma. A fast (relatively fast) 50 before Western States and then after that will probably look to do a fast road marathon at the end of the year but dates and race are tbc depending on my recovery from Western States 100. What does your training schedule look like on a weekly basis now you’re in training for Western States 100? High-volume! By peak week, I’ll probably end up at around 145-155 miles at altitude with not as much climbing, probably 20,000ft climbing a week. Still incorporating speed work and intensity into it. Even as an ultra marathon runner being able to run fast is really important, doing workouts like 8x1k, 6x1mile or 4×8 minutes at 10K pace. I find that stuff really beneficial. As well as implementing other types of training, I’m a huge believer in strength and conditioning and I get at least two s&c sessions in a week, ideally three. Living in a relatively flat area, it allows me to condition my body to training in the mountains and also helps to enforce my biomechanics. People say it’s good for injury prevention but I think it just gets your body moving in the right way and if something is going to get injured, you pick it up before and you can strengthen a weakness that they may have got worse over time if just running. Cross training as well, I used to do triathlons so I’m a decent enough swimmer and cyclist so I can get a good workout on the bike or in the pool. I like to cycle and at the moment, as I’m building up my running mileage, my cycling mileage and volume is quite high. It’s just time under tension, it’s training time. As my running will increase my cycling will decrease, as I add an hour of running into my training I’ll take an hour of cycling out. I think it’s really good to cross train, it keeps it different, keeps it sociable and doing something different keeps your body guessing. 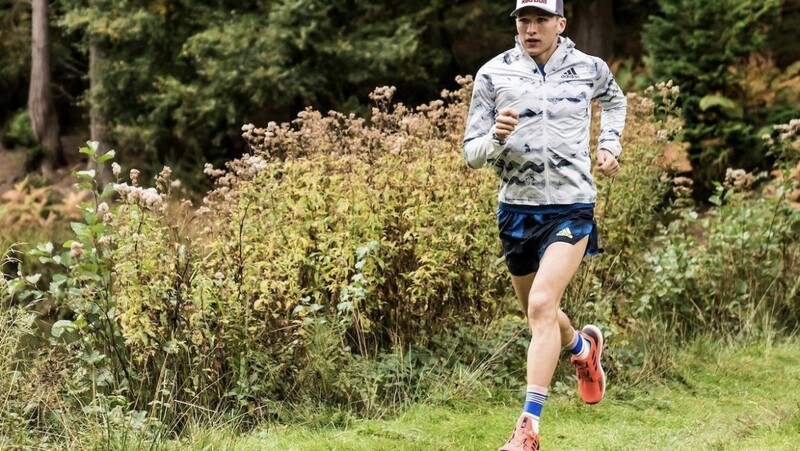 What are the key things you do to help prepare for a big race like Western States, aside from the training aspect? I put myself in the right mindset and for me, one of my mantras is control the controllables. There are certain things in an ultra race you can control. I can know the course, I can run the course before the race so I know where the big climbs are or bits I can exploit and run slightly faster, or bits where I need to be more cautious and conserve some energy. I don’t think there is such a thing as a perfect race; there will be things that go wrong. I used to just visualise having the perfect race and crossing the finish line in first place, breaking course records. In reality that doesn’t happen. So now my visualisation is more realistic and is actually about what I do when things go wrong. Whether it’s missing a checkpoint or my water bottle breaks, how am I going to be able to deal with small things going wrong, what is my contingency plan? It’s a very military way of thinking about it but I think having that discipline and having that structure into both my training and my racing mindset really allows me to progress and I try to leave nothing to chance. I plan and prepare my nutrition, hydration and caffeine plans so I can get the most out of the day. You put so much effort and work into training, up to 23 hours a week for 16 weeks, it’s only a 14 hour race, the percentage of the race overall is nothing. You want things to go right and if you prepare for them properly, it’s more likely things are going to go well. You’re able to have the race that you want on race day. After you’ve done a long race like CCC at UTMB, how do you recover? Recovery is huge and really depends on the individual and the race. The more downhill running there is in a race, the longer it’s going to take me to recover. After a main ‘A race’ I take at least a week off completely – no exercise. I may go on a hike or walk some laps in the pool but no formal exercise. After that I’ll have a week of build-up training: all on the bike, on the cross-trainer or in the pool. From week three, I will then start slowly getting back into running, no set program. I might run 30 minutes every other day, leaving the watch at home and just running on feel. If I feel good I might go further, if I don’t feel so good I won’t run as far. It’s a time I can just enjoy it. I can peel back to grassroots and end up doing more with my local community groups. It’s a nice way to get back into things. I think rest is really important. The reason that I have managed to perform in the way I have in some races is not necessarily just my training. I put a lot of emphasis on the rest and the recovery, not just after a race but during a training block. I will implement things so I can recover better, be that my nutrition, my sleep or using recovery products such as foam rolling or having a soft tissue massage. All of those things build together to help improve your recovery, but don’t underestimate how long things take to recover. The reason I haven’t planned anything formerly post Western States at the end of June is because I don’t know if it’s going to take me a week, a month or three months to recover – both physically and mentally. People might finish a marathon and they don’t know what to do because all of a sudden they have no structure and actually having something to focus on can be really important for people. But, don’t underestimate how long it can take to recover fully. We want to thank Tom and Red Bull UK for the chance to chat. There are lots of great take home messages here which are suitable for everyone; whether you regularly run your local Parkrun right up to anyone thinking about entering and training for their first marathon or ultra marathon. If you’d like to follow Tom’s journey to Western States 100 please give him a follow on one of his social channels.